Brent Jay Spiner was born on the 2nd February 1949, in Houston, Texas USA, and is an actor, probably best known for his role as Lieutenant Commander Data, an android in the TV series “Star Trek: The Next Generation” (1987). He is also remembered for starring in the role of Dr. Brackish Okun in the film “Independence Day” (1996). Brent has been an active member of the entertainment industry since the 1970s. Have you ever wondered how rich Brent Spiner is, as of early 2016? It has been estimated from authoritative sources that the overall size of Brent’s net worth is $7 million, which has been accumulated through his successful career as an actor over the years. 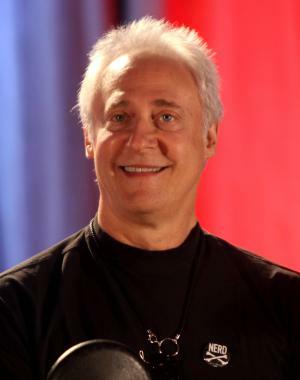 Brent Spiner was raised in a Jewish family by his parents Jack and Sylvia Spiner. He went to Bellaire High School in Bellaire, Texas, and after he matriculated in 1968, enrolled at the University of Houston in Houston, Texas, from which he earned a degree in 1974. While he was in college, Brent became active in local theatre. Brent`s career began in the 1970s, launching his career as a stage actor, as he participated in several Broadway and off-Broadway productions, including “Sunday In The Park With George”, and “The Three Musketeers”. After that he moved to California, started auditioning for on-screen roles, and in 1984 he earned his first role in the TV series “The Paper Chase”, which was followed by appearances in such productions as “Tales from the Darkside”, and “One Life To Live” in the same year. Before the end of the 1980s, he appeared in such TV series and films as “Crime of Innocence” (1985), with Andy Griffith in the lead role and Diane Ladd, “Mama’s Family” (1986-1987), “Night Court” (1985-1987), and in 1987 he was selected for the role of Lieutenant Commander Data in the TV series “Star Trek: The Next Generation” (1987-1994), which was his first notable role, and it certainly increased his net worth by a large margin. He repeated his role in several Star Trek sequels, including “Star Trek: Generations” (1994), “Star Trek: First Contact” (1996), “Star Trek: Nemesis” (2002), with other stars of the show, including Patrick Stewart and Jonathan Frakes. Brent`s career reached a whole new level, as he managed to secure roles in such high profile films as “Corrina, Corrina” (1994), with Ray Liotta and Whoopi Goldberg in lead roles, “Independence Day” (1996), alongside Will Smith and Jeff Goldblum, and “Phenomenon” (1996), with John Travolta and Forest Whitaker as stars of the film. He continued to line up success after success in the 2000s, securing roles in such productions as “Jack” (2004), “Threshold” (2005-2006) and “Superhero Movie” (2008), which steadily increased his net worth. To speak further of his accomplishments in the entertainment industry, in 2011 he featured in the TV series “Fresh Hell” (2011-2012), as himself, and in 2012 he was selected for the role of Brother Adrian in the TV series “Warehouse 13” (2012-2013). His latest appearances include roles in such films and TV series as “The Midnight Man” (2016), and “Independence Day: Resurgence”, which is scheduled for release on the 24th June 2016. Most recently, he has also started a voice acting career, landing his voice to characters in such productions as “Generator Rex” (2010-2013), “Star Wars Rebels” (2014-2015), and “Hulk and the Agents of S.M.A.S.H.” (2014), among others, all of which have added to Brent`s net worth. Brent is also recognized as a musician, releasing an album “Ol’ Yellow Eyes Is Back” in 1991, which consisted of covers of pop hits from the 1930s and 1940s American music scene. The album also added to his net worth, as it became quite popular in Europe. Thanks to his talents, Brent has received several nominations, and awards, including the Saturn Award in the category of Best Supporting Actor, for his work on “Star Trek: First Contact”, among many others. Regarding his personal life, Brent Spiner is married to producer Loree McBride, with whom he has a son; their current residence is in Malibu, California. 1 [September 12, 2006] I don't think I should play Data anymore. I think I'm too old to play him anymore to be honest. I think it would look stupid putting that make-up on me at this point. There certain characters that I think work in a youthful way and I think I really skated along the edge in the last couple movies as it was. 2 [on his Lt. Commander Data action figure] At first, I was reluctant. But then I figured, if it's good enough for Alec Guinness, then it's good enough for me. 1 Currently resides in Los Angeles, California. 2 Has appeared on Star Wars Rebels (2014), making him the first Star Trek actor to appear on the animated series, soon to be followed by Clancy Brown and Simon Pegg. 3 He appeared in three science fiction films in 1996: Phenomenon (1996), Independence Day (1996) and Star Trek: First Contact (1996). 4 Has one son: Jackson Spiner (born June 29, 2002). 5 His parents, Sylvia (Schwartz) and Jack Spiner, were both from Jewish immigrant families (from Austria, Hungary and Russia). 6 He is the only actor to be nominated for the Saturn Award for Best Supporting Actor twice in the same year, for both Star Trek: First Contact (1996) and Independence Day (1996); he won for the former. 7 He starred as John Adams in the Broadway revival of "1776" for which he received a Drama Desk Award nomination for best performance by a lead actor in a musical. 8 He has played the same character (Lt. Commander Data) on three different series: Star Trek: The Next Generation (1987), Star Trek: Enterprise (2001) and SpongeBob SquarePants (1999). 9 When added to the Broadway cast of "Big River: The Adventures of Huckleberry Finn", he replaced another future Star Trek actor: Rene Auberjonois. 10 Genre enthusiasts liken Spiner's Data to another intelligent golden automaton: C-3PO of the Star Wars trilogies. 11 His character, Lt. Commander Data's line "Intriguing!" went down in Trek history as replacing Mr. Spock's world-famous line "Fascinating!". 12 He played a fictional character, James Campbell, on Friends (1994) and himself on the spin-off series Joey (2004). 13 He is the only Star Trek: The Next Generation (1987) regular to share scenes with all three original Star Trek (1966) series cast members who appeared on that series: DeForest Kelley, Leonard Nimoy and James Doohan. 14 He appeared in episodes of three different series with Jonathan Frakes and Marina Sirtis: Star Trek: The Next Generation (1987), Gargoyles (1994) and Star Trek: Enterprise (2001). 15 Along with Jonathan Frakes, Marina Sirtis, Michael Dorn, Colm Meaney and Jeffrey Combs, he is one of only six actors to appear in the series finales of two different "Star Trek" series (Star Trek: The Next Generation (1987) and Star Trek: Enterprise (2001)). 16 He played five different members of the Soong family on "Star Trek": Lieutenant Commander Data in Star Trek: The Next Generation (1987), Star Trek: Generations (1994), Star Trek: First Contact (1996), Star Trek: Insurrection (1998), Star Trek: Nemesis (2002) and Star Trek: Enterprise (2001); Dr. Noonien Soong and Lore in Star Trek: The Next Generation (1987); B-4 in Star Trek: Nemesis (2002); and Dr. Arik Soong in Star Trek: Enterprise (2001). Data, Lore and B-4 were all androids made in Dr. Noonien Soong's image and Dr. Arik Soong was his great-grandfather. 17 He appeared with Erick Avari in three different productions: Star Trek: The Next Generation (1987), Independence Day (1996) and The Master of Disguise (2002). 18 He was the only Houstonian, and for that matter, the only Texan, who appears in The Aviator (2004), whose subject, Howard Hughes, was born in Houston. 19 In October 2004, he began three guest appearances on Star Trek: Enterprise (2001) as Arik Soong, an ancestor of Noonian Soong, the creator of Data, his character from Star Trek: The Next Generation (1987). He also played Noonian Soong in Star Trek: The Next Generation: Brothers (1990) and Star Trek: The Next Generation: Inheritance (1993). 20 Attended and graduated from the University of Houston in Houston, Texas (1974). 21 Attended and graduated from Bellaire High School in Bellaire, Texas (1968). 22 Godfather of Gates McFadden's son. 23 He was a groomsman at Marina Sirtis' wedding, and served as best man at Patrick Stewart's wedding. 24 Last name changed to Mintz at about age six, readopted Spiner as a stage name at about age 20. 25 Released an album titled "Ol' Yellow Eyes is Back" (based on an old crooner song of the 1940s) with his male co-stars from Star Trek: The Next Generation (1987) singing backup vocals. Title of the album refers to Data, whom he played on the series. Star Trek: Nemesis 2002 performer: "Blue Skies"